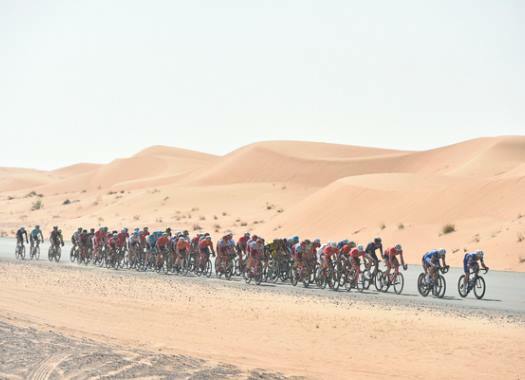 The UAE Tour has confirmed the two continental teams that will start along the 18 WorldTour teams, as well as some of the riders that will take part on it. As it was announced before, the race will have the participation of riders like grand tour winners Chris Froome (Sky), Tom Dumoulin (Sunweb) and Vincenzo Nibali (Bahrain-Merida), as well as World Champions Alejandro Valverde (Movistar) and Rohan Dennis (Bahrain-Merida) and top sprinters Elia Viviani (Deceuninck-Quick-Step) and Marcel Kittel (Katusha Alpecin). The newly created race, which will merge the Dubai Tour and the Abu Dhabi Tour, also expects other important riders like Richie Porte (Trek-Segafredo), Fernando Gaviria (UAE Team Emirates), Remco Evenepoel (Deceuninck-Quick-Step), Caleb Ewan (Lotto Soudal), Michal Kwiatkowski (Team Sky), Wilco Kelderman (Sunweb), Primoz Roglic (Jumbo-Visma) and Alexander Kristoff (UAE Team Emirates). The UAE Tour will also have the participation of ProContinental teams Gazprom-Rusvelo and Novo Nordisk along with the 18 WorldTour teams.